I was beginning to think that we were never going to get our garden in this year! But, we finally did it on Friday, May 9th! And just in time for the next round of rain that we got this past week. 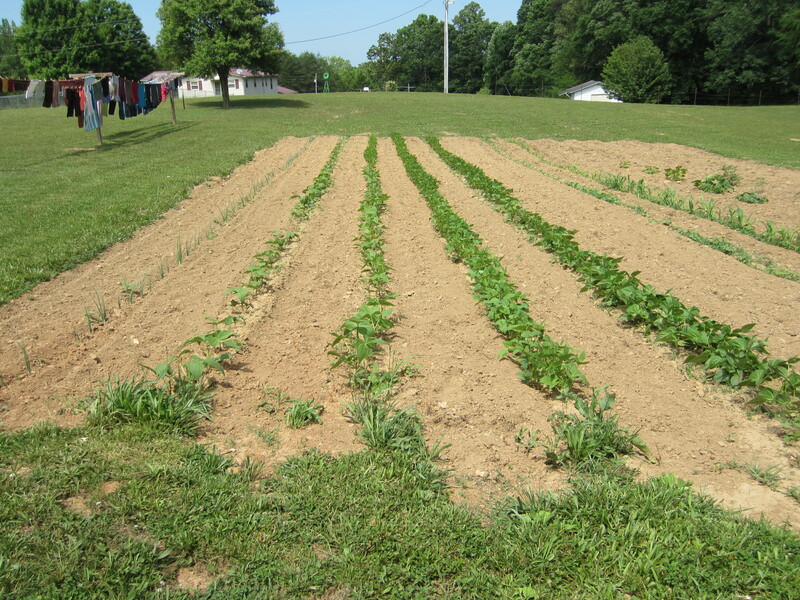 We already have beans & corn coming up! And, I am finally getting a section of my herb garden in! I still have a lot of work ahead of me in this area, but it’s slowly coming together! 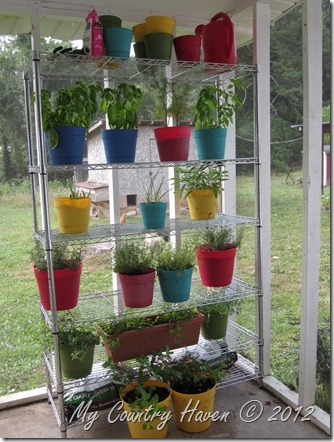 The colored pots contain seeds that, when they are big enough, will be transplanted into the herb garden. 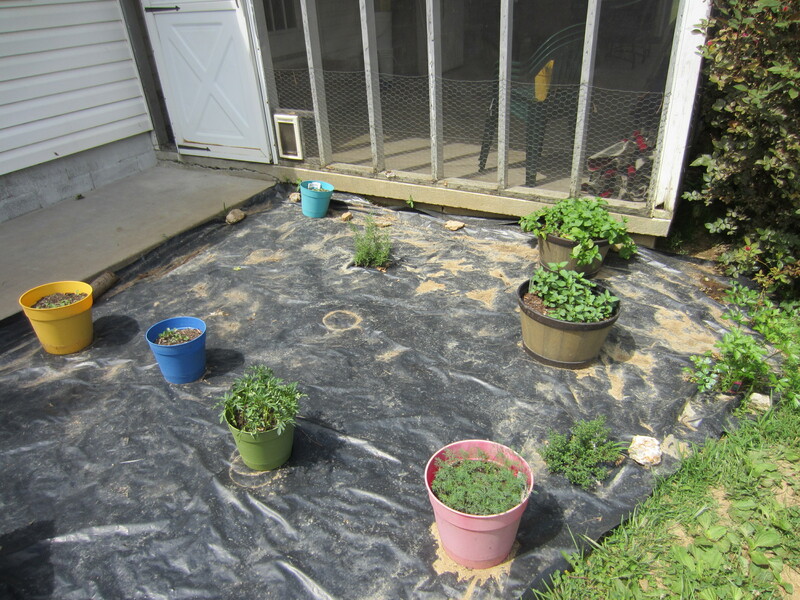 The larger pots contain my different basil plants (sweet, spicy, & cinnamon basil), mints, & fever few. Another sure sign that spring is here! 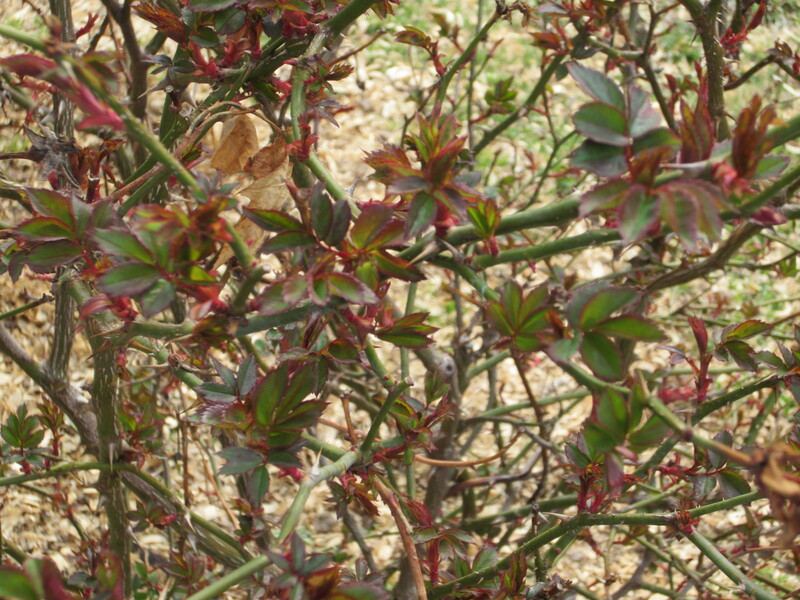 My rose bushes are putting out new leaves…. 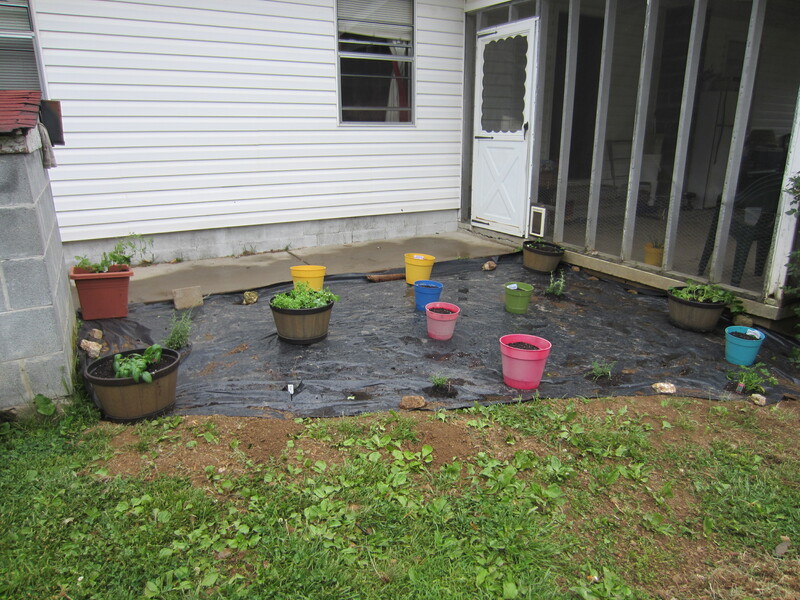 And, we are beginning to get our garden ready for planting! Now, to get some seeds planted & begin waiting……..
I’ve been giving a lot of thought to what I would like to do in the garden this year. 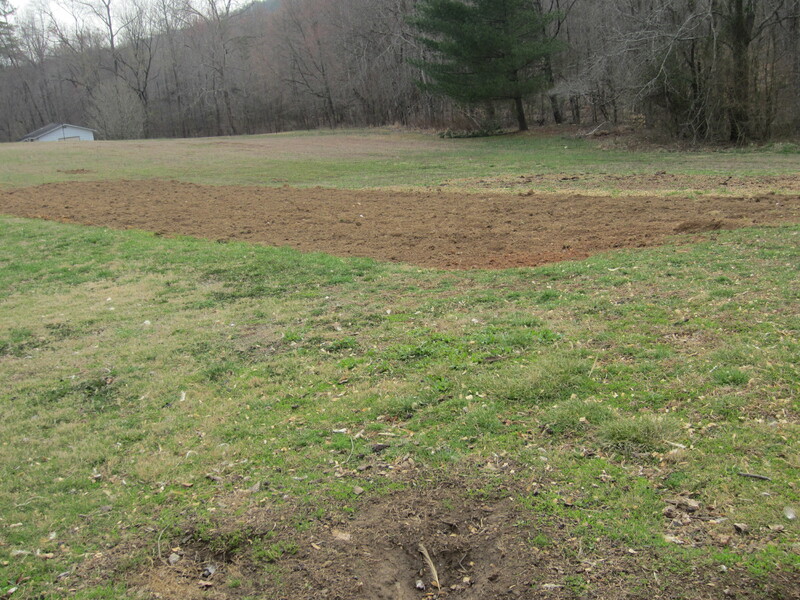 I really try very hard not to put too much of the gardening onto Brian since his schedule is so crazy, but there are just some things that I have to have his help with – such as turning & tilling the garden. Once that is done, I can take care of most of the rest of it, especially with the help of the kids. With that being said, here are some of the things that I would like to plant this year. Some of these, I’ve planted before, some are new to me. I’m really wanting to expand what we grow ourselves, especially in light of the major drought in California. I’m afraid that groceries are going to really go up & they are going to become harder and harder to afford. I will probably come back from time to time and add to this list as I think of a few other items I would like to plant. 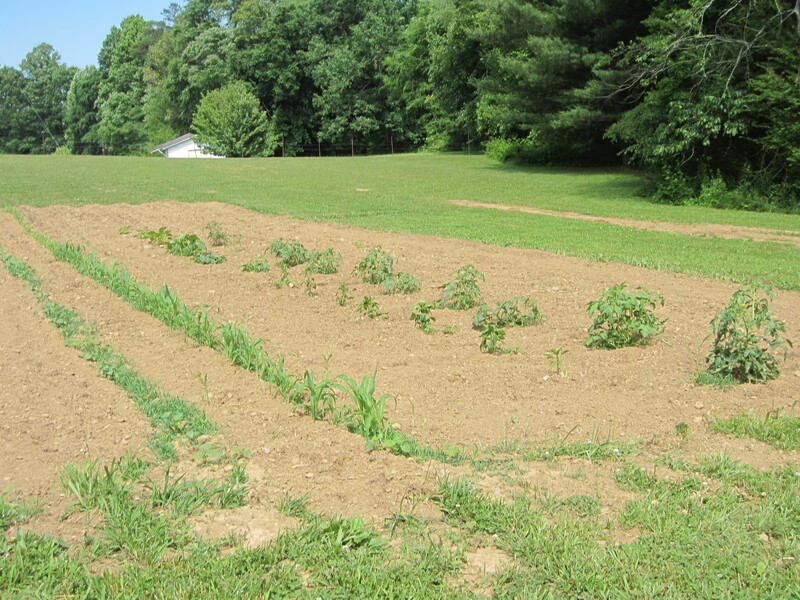 It will also depend on when we finally get the garden area turned & tilled. I would also like to get some strawberries planted again this year maybe a couple of apple trees before the cold weather moves back in this fall. We shall see. 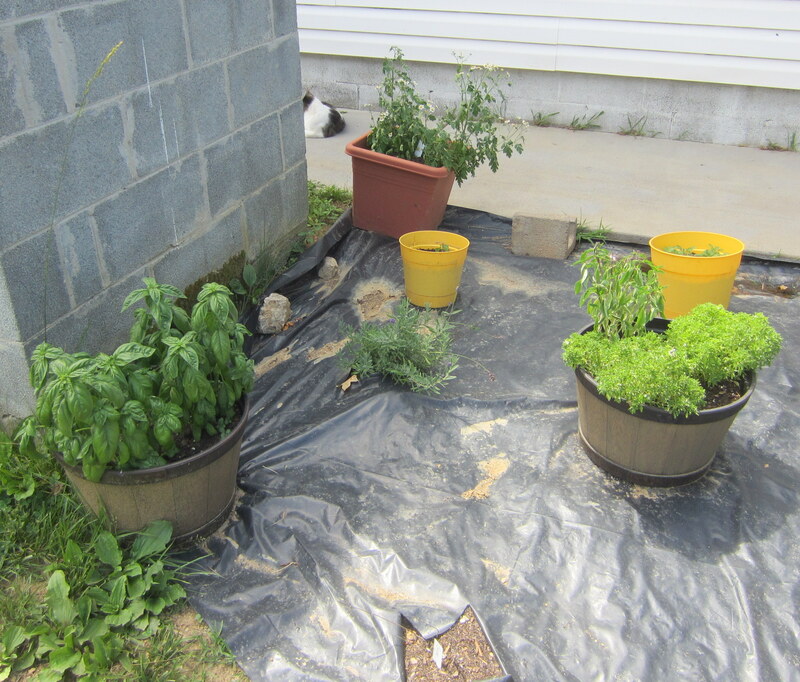 This year, I’m even more thankful that I have my herbs to tend to since we didn’t get a garden in the ground. But, I’m not as upset about not having a garden this year as I was earlier since we are in a severe drought & most people I know tell me that their gardens are struggling or dying. As soon as Brian’s shift change goes into effect & he has some time off, we plan to get a lot of these beauties in the ground so that they will hopefully flourish even more, as well as have time to get established before the colder weather sets in so that the perennials will come back next year. 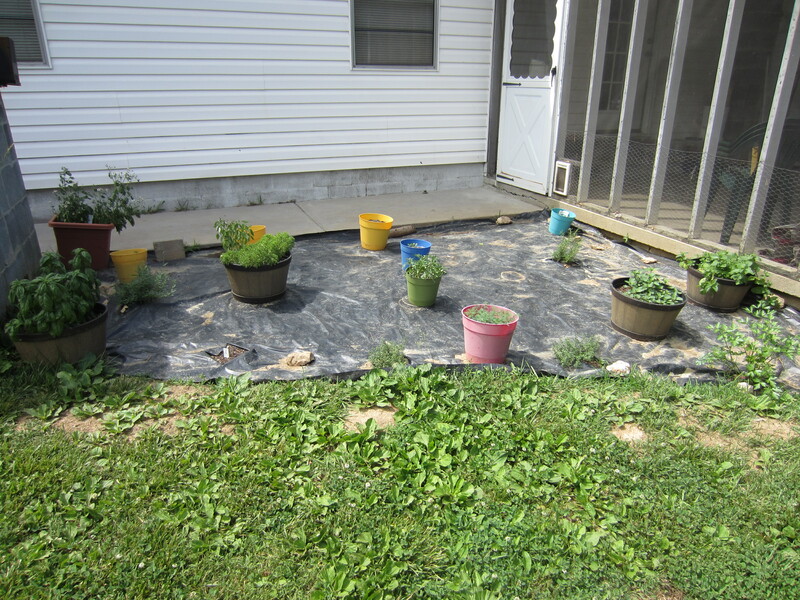 I’m hoping to expand it bit each year until I have not only a kitchen herb garden, but a medicinal herb garden, as well. The good news is that I do plan to try to get in a fall garden very soon so that I can take advantage of the cooler temps that come with fall & will hopefully still be able to get a few goodies before our growing season is over for the year. 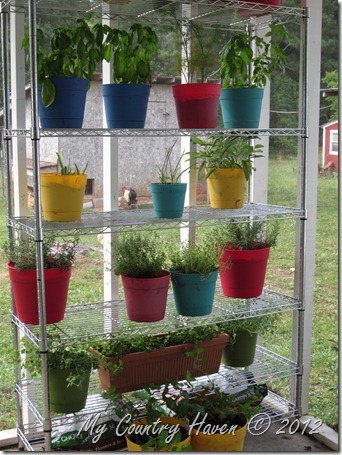 The Fall Garden: Cold Frame Craze! I found this article at Lehman’s. If you’ve never checked them out, head on over there and take a look! They have tons of old-fashioned items for sale! It’s one of my favorite sites! But don’t forget to check out this article and many others there as well. preparing or preserving food. However, to be honest, standing over a hot stove is not my favorite place to be when the weather is gorgeous outdoors. So although we do have plenty of beans in the freezer and tomatoes on the canning shelves, I am also contributing to our winter food storage by doing more planting in the garden. A number of years back I purchased Eliot Coleman’s book “Four Season Harvest” from Lehman’s, and it has transformed our winter food plan. Eliot is an innovative organic gardener from Maine who runs his gourmet salad business during the winter months using various cold frames and high tunnels. I decided that if he can do it in Maine, I can surely do it in Ohio and the past seven years our family has eaten fresh salad greens all winter long out of my cold frames. Winter Density lettuce starts into cold frame areas, transplanting mache plants to every available corner and starting more spinach seed. Other greens like Swiss chard, bok choy, cilantro and claytonia are also getting added in smaller amounts – and don’t forget the onion scallions and leeks. I also toss in a few cold loving edible flower plants like calendula and johnny jump ups to cheer up my winter salads. 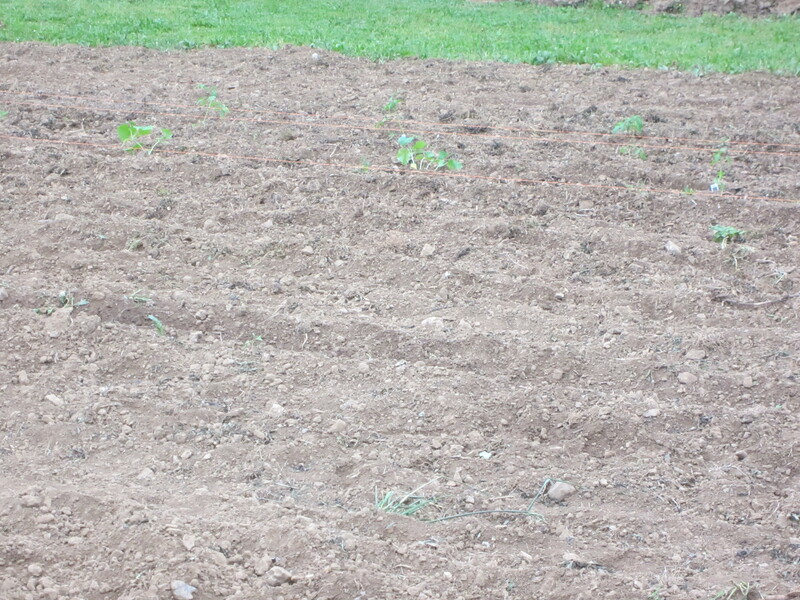 A few things like spinach and lettuce will get a second planting around the middle of October for over-wintering. They will sprout and stay tiny all winter and then take off growing when spring arrives. We use an eclectic mix of cold frame structures (all unheated) to protect these delicacies in our garden. The largest is a 10×20 greenhouse built from a kit and we also use cement blocks with an old storm door, recycled trampoline legs that are attached to skids and covered with plastic and my favorite little guys, white plastic barrel halves. The barrels are easily mobile and here is one with three rows of spinach underneath. 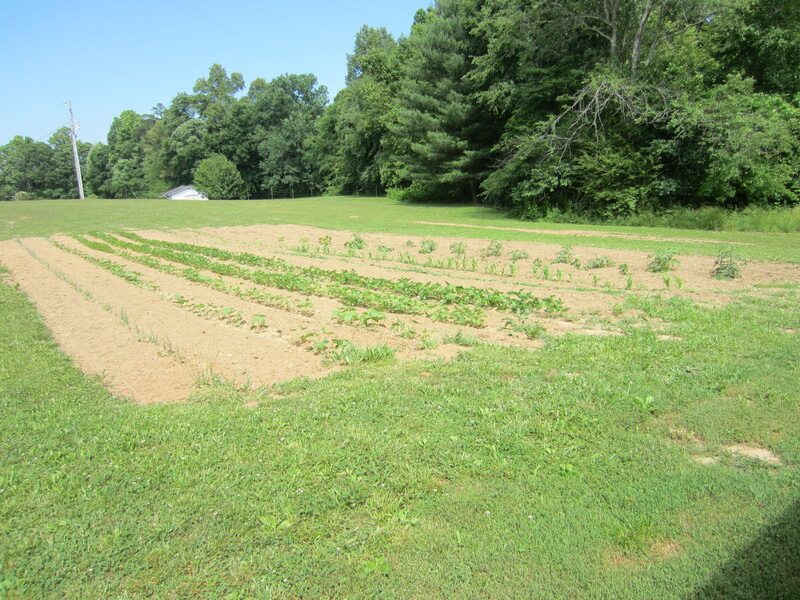 The covers will go onto the crops around late October and then I can harvest as needed throughout the winter months. We can have glorious salads for Thanksgiving and Christmas. The pickings will get a little slimmer for January and February with spinach, mache and kale being the hardiest guys in the coldest weather. Being able to supplement our stored winter food with just a few fresh leafy greens really adds variety plus gives a nutritional boost. You can also imagine the great winter therapy it is to linger in the greenhouse when the sun has warmed it up to 60 degrees on a January day when the outdoor temperature is in the teens! Once March arrives and the temperature starts rising again, everything in the cold frames takes off growing again and we have salad coming out our ears, plus the cold frames work well for planting a few early peas and starting other spring crops like broccoli and cabbage. So if you are looking for ways to stretch your gardening season and add variety to your winter fare it’s not too late to toss some spinach and lettuce seeds in your garden, jimmy up a cold frame and when the snow starts flying, curl up with “Four Season Harvest” along with your freshly harvested salad. It’s hard to believe that it’s been almost 12 weeks since my visit with my friend Tammy and her family, and these guys and gals hatched! We had such a wonderful time watching them hatch and cheering them on as they entered the world. What a great learning experience for all of our kids to get to experience! 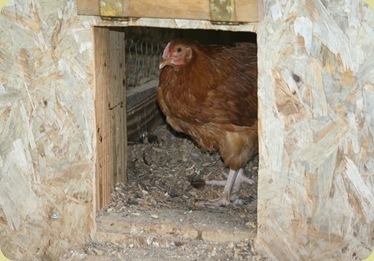 I was so glad that the timing worked out to where they were hatching whey they were here. Where has the time gone? I miss Tammy terribly, but we talk almost daily, and we’re planning a trip up there next year. I can’t wait! Back to the chicks. 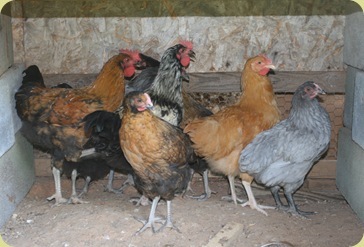 Right now, they are in their own separate area (but not completely cut off from the rest of the flock), but soon, they will be joining the rest of the flock. 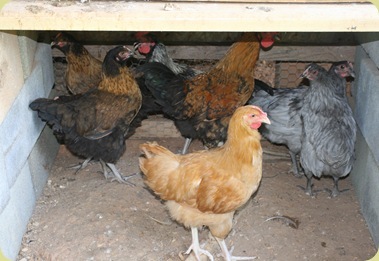 They have approximately another 8 weeks before the girls start laying, but we’ll have to separate the young males before then. Unfortunately, we cannot keep them all, but I might keep one or two. The rest will go into my freezer at around 20 weeks of age. 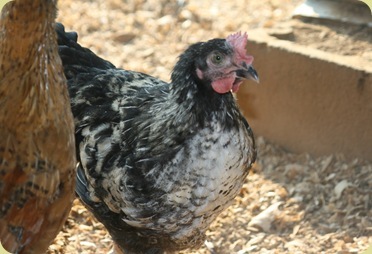 We’ll just have to wait and see how my flock’s doing at that time. We also finally got part of a garden planted. Not what I had originally planned, but it’ll do. 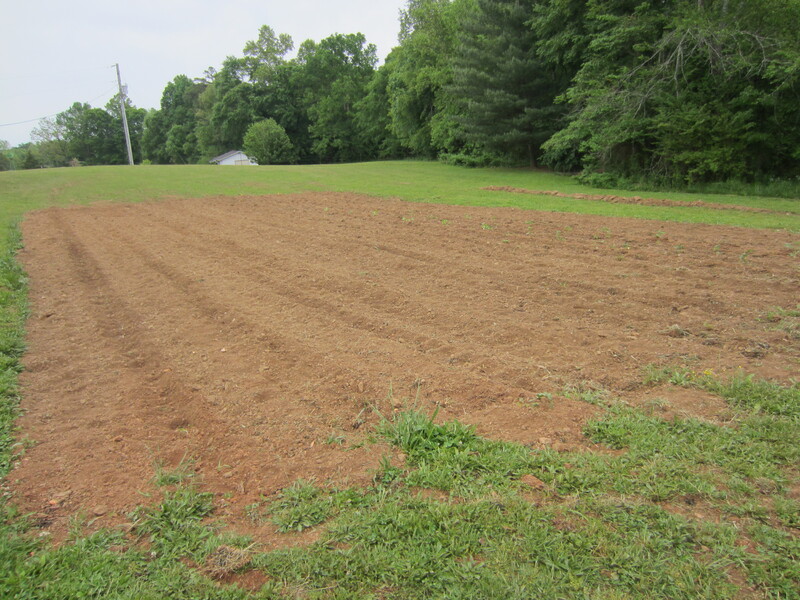 We planted 5 rows of corn, 2 rows of beans, and 1 row of potatoes. So far, I do have corn and beans coming up which is great! I’m praying that they will continue to do well and that I’ll have something to put into my freezer to last us through the winter. Well, there you have it – an update to our farm life. We stay pretty busy, but I love it! I’m so very thankful for all that God has blessed us with. I’m more blessed than I could ever put into words.